Book a fantastic band for your wedding in Newcastle! 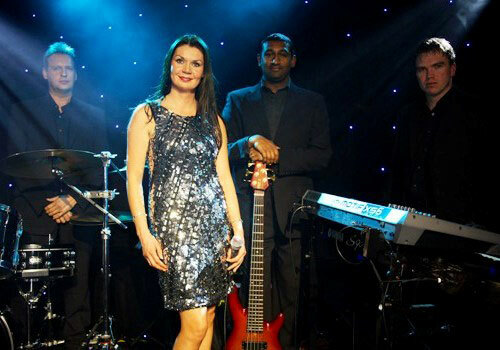 The singer started in the music business in several local bands while she was studying for her degree in music. It wasn't long before she started up her own band and when completing her degree she also pursued her glittering solo career by performing in cabaret across the country, Europe and on cruise ships. It is her ability to switch styles and genres with such ease that has won her reputation as an amazingly versatile vocalist. Her variety in styles of music and huge vocal range has led to sensational performances. 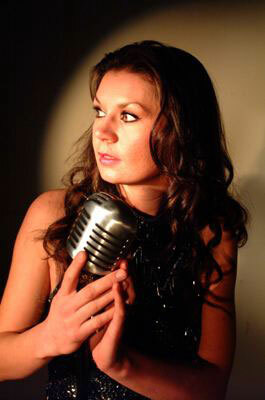 She never fails to entertain her audience, whether it is performing an aria in front of thousands at the Sunderland football ground, 'The Stadium of Light' or singing to more intimate audiences at jazz gigs & cabaret venues. Amongst her busy schedule, she has still managed to fit in contracts as a guest entertainer onboard P & O ships the Arcadia & the Oceana as well as the Saga Ruby this year. In 2008 she fulfilled contracts onboard the Saga Rose & Saga Ruby cruising around The Black Sea, the Norwegian Fjords, Canada & South Africa. She has also cruised with Costa Cruises and Travelscope. She spends a few weeks throughout the year in Spain performing a Shania Twain & Country show to Country & Western fans in Hotels and establishments along the Costa Del Sol. 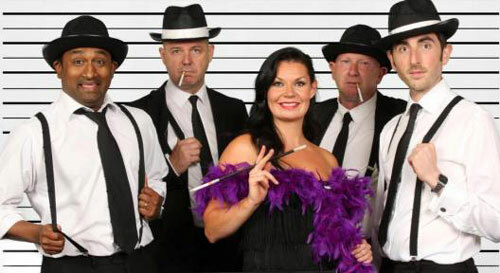 This show has also been popular at private functions, themed Country & Western nights and at Military parties. In 2006 and 2007 she was nominated and shortlisted for business awards in the Creative sector 'Best Creative & Cultural Business'. This was not only commendation for what she has achieved with her band and solo career but also well deserved recognition for her work 'behind the scenes'. As a freelance singer she works as a session singer at local recording studios. Deliver's singing workshops in high schools, colleges and privately and is also involved with local musicians recording original material. She has recently finished recording her first album entitled, featuring the musicians from her band. The album covers some interesting arrangements of popular standards and also a big band recording arranged by Dave Wolpe. She also sits on the Advisory Board for Gateshead College Music Department. 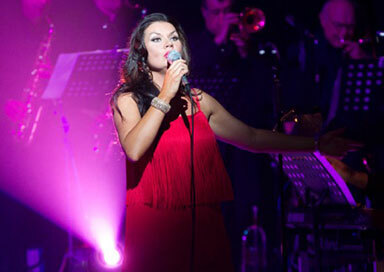 She is also available as a duo for wedding ceremonies and drinks receptions.